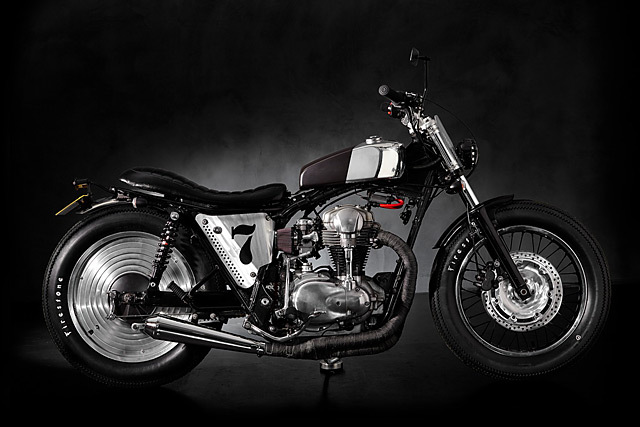 This W650 had originally been imported from Japan by a local motorcycle workshop. ‘The mechanic had tried to modify it himself, and failed’, the brothers say. ‘Then shop owner called us to see if we’d be interested in taking it from there.’ The response from the brothers was an unequivocal ‘Hell yes!’ On inheriting the failed project they also took on the customer, an Uzbekistani ex-patriot who had a simple brief, ‘Just make it low and compact, for the rest you can do whatever you want.’ It was just the kind of vague guidelines the brothers wanted to hear. 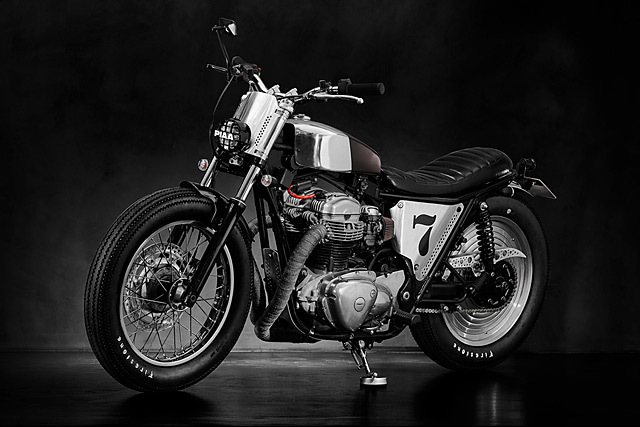 Unlike many, Ben and G don’t wax lyrical about their approach to customizing bikes, being firmly of the belief that anyone can turn out special custom. ‘If you are passionate and have some creativity, you can easily turn an average looking motorcycle into something with more style’. They’re probably right, but I think they’re being a little humble. Especially when considering a new distraction at Angry Lane, a new shop dog dubbed ‘Clutch’. The Bug-eyed, gremlin-eared French bulldog had developed a penchant for munching on motorcycle sidestands, so much so that the brothers made up a steel bone for him to chew on instead of the W650. Dog underfoot, Angry Lane started their work by lowering the bike 2 inches at the front and rear, fitting a short fiberglass fender over the standard front wheel before capping the rear with a modified Moon Eyes cover purchased from the United States. To keep the whole bike close to the deck, a slim AN-BU custom leather seat was mounted behind a polished, slab-sided tank. 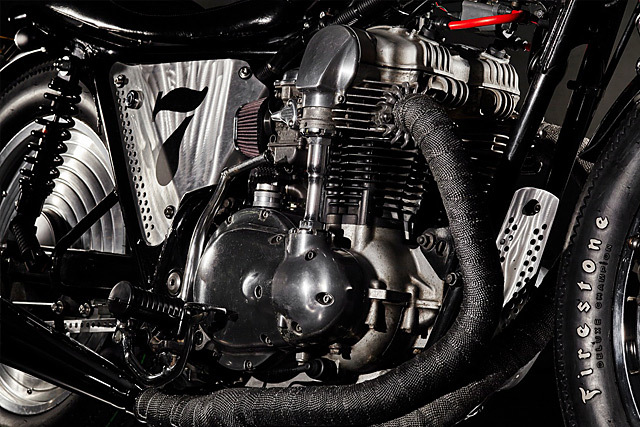 Underneath the new seat and tank combination, the gorgeous W650 engine hasn’t had too much work lavished on it, with the undersquare bevel driven beauty offering limited returns on more serious engine work. A fat Megaton 2 into 1 exhaust was fitted, coupled with the appropriate jets and a pair of K&N air filters. But that’s about it in the engine department. 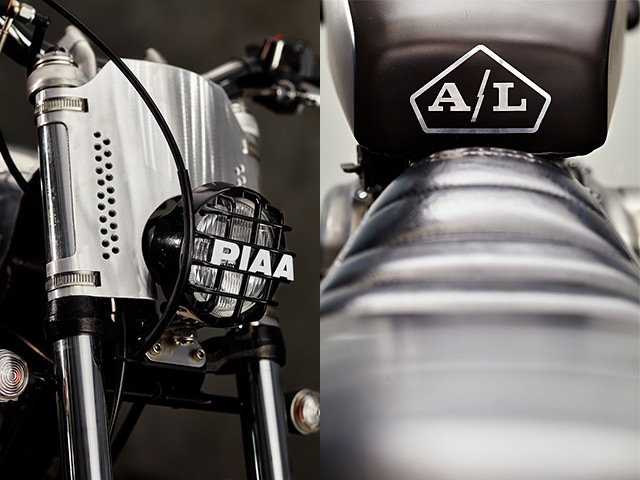 The front end is a different story, with the stock instrument cluster and headlight being ditched in favor of Biltwell grips on MX controls, Grimeca master cylinder and a PIAA ‘extreme white’ driving light. 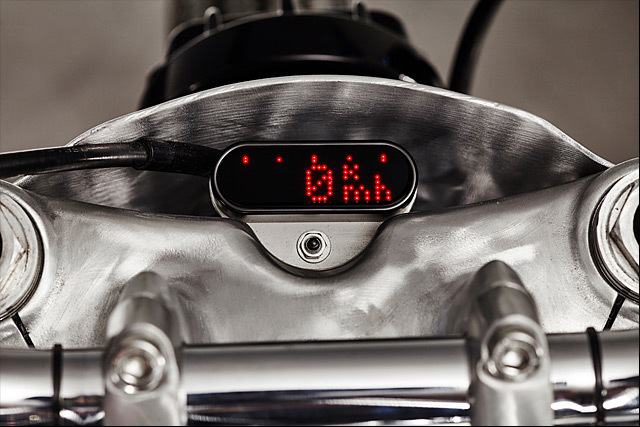 Tucked in behind the headlight cowl and in front of the shaved top triple clamp sits a ubiquitous Motogadget mini speedometer. The ignition unit was detached and mounted into the new bent aluminum sidecovers. 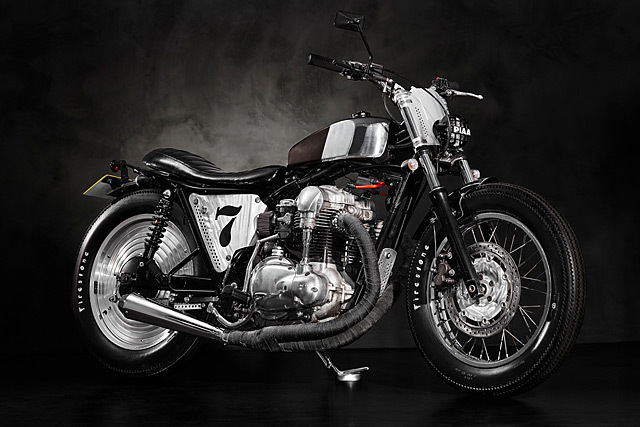 Despite the interferences of Clutch, Angry Lane have made a neat little custom W650 that’ll serve as inspiration for anyone lucky enough to be kicking around on one of the best built and most underrated motorcycles produced in the last 20 years. And they’ll make it a little bit easier to modify, with plans to put up the dimensions of their aluminum work on their website when it relaunches soon, a nice, rare touch in the sometimes secretive world of custom bike building.